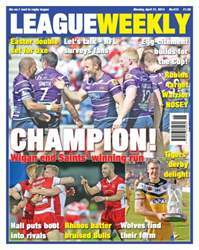 The race for Super League was blown wide open as Wigan Warriors ended the unbeaten 2014 run of their arch rivals St Helens. And now attention switches to the Challenge Cup with another heavyweight face-off – Saints vs Leeds Rhinos. 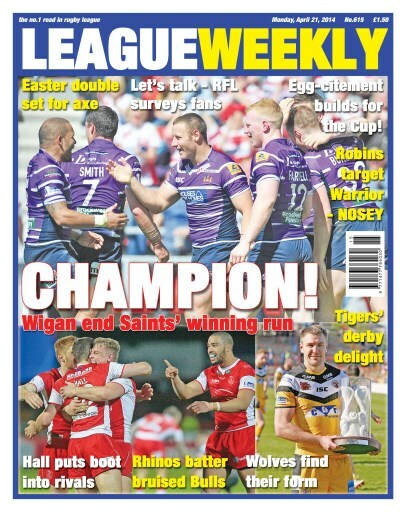 The best news, views, action, reaction and opinion from Rugby League's no.1 newspaper League Weekly!